Huawei’s sub-brand, Honor, is set to launch the Honor 8X smartphone in India in an official launch event in New Delhi on October 16. This is coming after the smartphone was launched last month along with the Honor 8X Max. Here are the specifications of the Honor 8X, as well as the price. One of the most prominent features of the Honor 8X is the massive 6.5-inch notched display that it features. This display has a resolution of 1080 x 2340 pixels and an aspect ratio of 19.5:9. The phone is powered by the HiSilicon Kirin 710F chipset. In terms of RAM, it comes in two variants – a 4GB RAM variant and a 6GB RAM variant. It also comes in two internal storage variants of 64GB and 128GB. In total, three variants of the device were launched last month – a 4GB RAM/64GB internal storage variant, a 6GB RAM/64GB internal storage variant, and a 6GB RAM/128GB internal storage variant. The Honor 8X features a dual-camera setup on the rear with a 20MP primary shooter and a 2MP secondary shooter. Sitting on the front of the device is a 16MP camera for taking selfies. Also at the back with the camera setup is a fingerprint sensor for unlocking the device. The Honor 8X was launched in three variants in China last month. The price starts at CNY 1,399 for the 4GB RAM/64GB internal storage variant. This is about 74,000 Naira. The 6GB RAM/64GB internal storage variant is priced at CNY 1,599, which is about 85,000 Naira. The third variant, with 6GB RAM and 128GB internal storage, is priced at CNY 1,899, which is about 100,000 Naira. 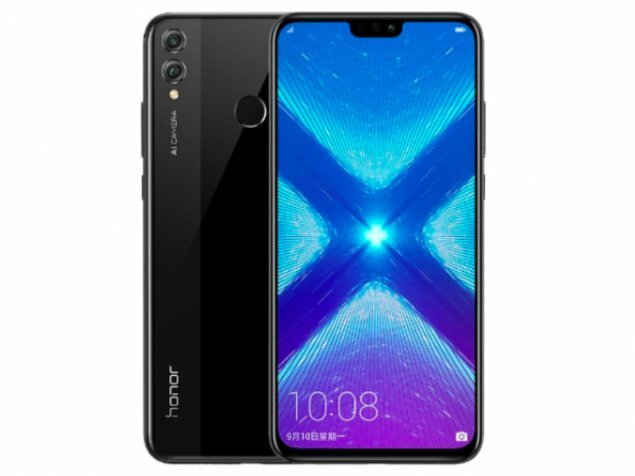 The price tag of the Honor 8X shows that it will likely face a huge competition from devices such as the Nokia 6.1 Plus, the Redmi Note 6 Pro and the Realme 2 Pro. Android N (7.0) Developer Preview 2 is out, can you guess what the ‘N’ stands for?